“25 days, maybe a month,” that’s what the man sitting at the desk inside the entrance said to me when I asked how much longer The Chong had. He didn’t seem much more interested in my follow up questions of what would come next or what brought on the anticipated closure. As a scarred veteran of the retail world, I try to avoid Black Friday shopping unless there’s an interesting story to be found. In past year’s it was diving deeper into the story of Forest Fair Mall/Cincinnati Mills/Cincinnati Mall/Forest Fair Village. This year, it was a quick visit back to The Chong. Since writing about one of Downtown Cincinnati’s more unique retail vestiges earlier this month, I’d been told multiple times that the businesses’ “store closing” sale is actually a yearly occurrence, that the place never actually closes down. That all seems to line up with the fact that most things in the shop didn’t seem to be marked down or even remotely discounted when we went in. 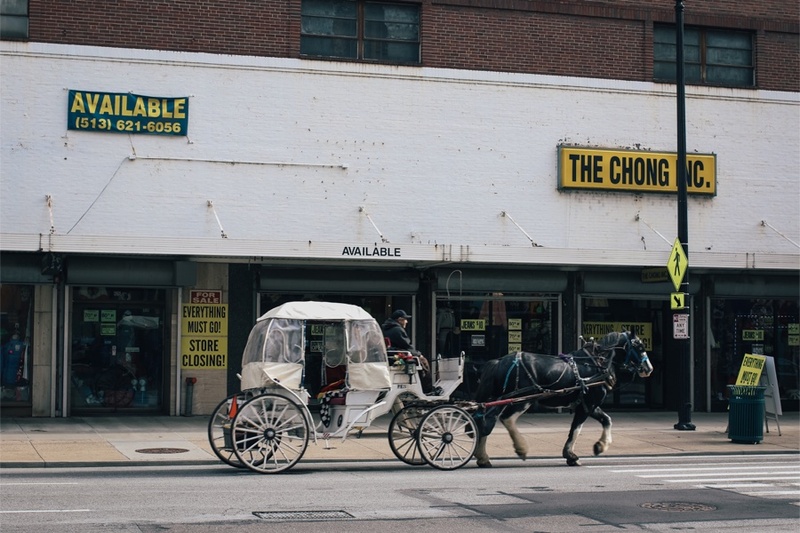 However, one employee had told me that collectors visited to clear out the store’s inventory of vintage toys in anticipation of what were definitely The Chong’s final days. Shrewd sales tactic or is the place truly disappearing from the downtown blocks? I guess we’ll know for sure in 25 days, maybe a month. Update: I stopped by 25 days later and the store was still going strong—still packed with stuff, still claiming they were going to close. I’ll check back again after the holidays. I’m actually a bit surprised something similar hasn’t opened there, but Tri-County has its fair share of similar stores (in terms of clothing selections, not so much 1990s VCR repair kit selection).